How can I stop being addicted to screens / my phone? When it comes to technology consumption, typically the problem can be defined two ways: idolatry or outright addiction. You may be experiencing one or both definitions when it comes to you and your devices. 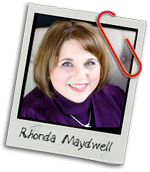 Examine how you use your tech and how often you use it. Do you allow your device-use to get in the way of your relationships with friends, family, or God? How you would feel if it got broken or taken away? What would your response be? Would you get angry or go crazy? Or would you just find something else to do? The Bible says idolatry is the worship of false gods and that we should run from it (Deuteronomy 5:7; 1 Corinthians 10:14). Today, idolatry can be anything that takes precedence in your life over God or other people. Relationships, grades, jobs, devices, possessions, fandoms, sports, etc...all of these things have the potential to take the #1 spot in our lives if we aren't careful. Addiction is defined as a compulsive need for a habit-forming substance, or a "persistent compulsive use of a substance known by the user to be harmful" (Merriam-Webster's Dictionary). Is "addiction" too strong of a word for your compulsion for screen time? Perhaps you just need to take a step back and refocus your priorities. Or is compulsive device usage something you have zero self-control over? If you have difficulty pulling away from the screens or it's causing problems between you and your family and/or your relationship with God, then we need some intervention. When we allow something to come between us and God, that is the very definition of an idol (1 John 5:21). Finding balance between your time with God, family, friends, and screens is vital. Please understand that that watching TV or keeping up with friends on social media are NOT sinful. Use of tech only becomes a problem when your ability to exercise self-control over your screen time use grows into something bigger than you can manage. Be encouraged that you are not alone; we all have idols and temptations we contend with. But it is still possible to get and maintain a better balance with the things that matter. Keep track of how you spend your time for a week, writing down how much time you spend in different activities, then evaluate the numbers to get a better perspective on how you spend your time right now. What is the proportion of time you spend between your screens, your family, and God? How much time do you spend building your relationship with God through prayer and reading His Word? How much time do you spend investing in other people's lives? How much time do you spend alone with a screen? If you want to spend time with God only because you should, remind yourself that God honors a desire to spend time with Him. He wants to be with you because He loves you and has great plans for you (Jeremiah 29:11). Spending time with God helps you know Him better and learn to follow His will for a God-glorifying life (James 4:8). If you're spending time with your family because you have to, you're likely to develop bitterness and resentment over what seems a waste of time. The Bible says that putting others' needs first is an important aspect being a Christian (Philippians 2:1-11). Your little siblings look up to you. Take time to be with them, showing kindness and love. Your parents and older siblings could use your service, support, and respect. Investing time in your family strengthens those relationships. What benefits do you gain from your screen time? Is that time beneficial to your spiritual, mental, emotional, or physical health? How valuable are those benefits in comparison to what could be gained from time with God and your family? How could utilize your screen time in a positive way that benefits you, your faith, and those around you (1 Corinthians 6:12)? Designate time with God. The goal is to keep God at the forefront of your mind always (1 Thessalonians 5:16-18), but when you're making new habits, keep your goals small. Start with a small amount of time, such as praying as soon as you wake up and/or right before bed, then build as you are ready. After a while, you may even crave more time with God. Set an alarm, get up, grab your Bible, and enjoy God's presence, attention, and wisdom. Make your time with God screen-free. No phones, tablets, computers, or TVs! Yes, there are Bible apps and video sermons, but if you're trying to put God before screens, I wouldn't suggest using those. Too much temptation to check feeds, notifications, or fall down a YouTube rabbit hole. Get a good old-fashioned printed Bible. If you're so inclined, use highlighters, gel pens, etc. to mark passages, make notes, draw pictures, doodle—anything that helps. Make it a special time with God. Make your family time screen-free. Put your phone and other devices away. You can encourage the whole family to support efforts to decrease screen time by making dinner and doing family activities phone-free. Connecting with your family is an investment that's easy to make while you're living at home. Take advantage! Talk your friends into screen-free activities. The stuff you do doesn't always have to involve movies, shows, video games, or snapping each other. You can go outside, create things, serve others, try new things... You may start a revolution! Remove any TV screens or video game systems from your bedroom. You don't have to get rid of them forever, but removing that temptation will go a long way to helping you attain the balance we're talking about. Store them in a box somewhere away from your room or disconnect them and put it all at the back of your closet. You'll also sleep better if you don't have electronics buzzing in your room. Restrict TV/Netflix/Hulu/etc. viewing to 2 hours a day, and only after homework, chores, and other responsibilities are completed. Ask for help with accountability. 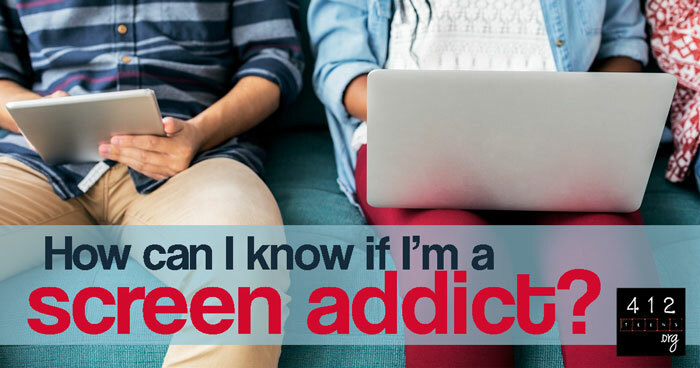 Just because it's device screens, and not herion, doesn't mean it's easy to break a bad habit. Ask a friend or family member to keep you accountable to limiting your screen time. They can check up on you regularly, pray for you, and give you alternatives to screen time. Working with a counselor might be necessary if self-control is truly an issue for you. It may very well be an all-out addiction. If this is the case, please don't feel guilty or like a failure. You've recognized a problem and decided to change—that is a HUGE step. Consider a fast. Fasting is a powerful way to restore focus on God. Many people fast from food, but fasting from tech is perfectly acceptable in today's world. When my daughter was about 15, she was challenged by her youth group leaders to fast from social media for a month. All her social media apps went away, and we placed a password on her settings, so she couldn't get into the app store to re-install them. The leaders checked on the students quite often. (That's accountability!) Fasting from social media was really hard for her at first, but it got easier. The trick to fasting successfully is to PRAY when the temptation to cheat hits you. Spend time that would be spent on screens with God or family activities instead. With this kind of fast, having an accountability partner (or 2) is essential. My daughter said she felt closer to God during the fast and had a much better perspective on social media afterward. You can too! These suggestions may not all work for you personally, but hopefully this article has given you some ideas and direction toward helping find some balance between the screens. God desires more time with you, so I have high hopes you will succeed, friend! If you have difficulty pulling away from the screens or it's causing problems between you and your family and/or your relationship with God, then we need some idolatry intervention (1 John 5:21). Finding balance between your time with God, family, friends, and screens is vital for spiritual, emotional, and relational growth. Make time for God and your family—screen-free and focused. Remove screens from your bedroom and limit your viewing/play time. Find an accountability partner who can help you and pray for you as you seek balance. God desires more time with you and for you to have healthy relationships, so the odds of success are in your favor!